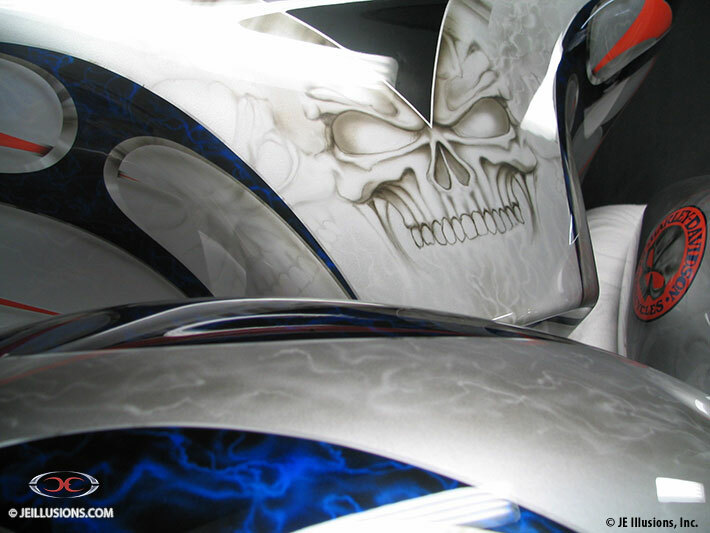 Swirls of lightning and skulls in Silver and White flow through this paint job, with the main skull design coming at you on the front faring. 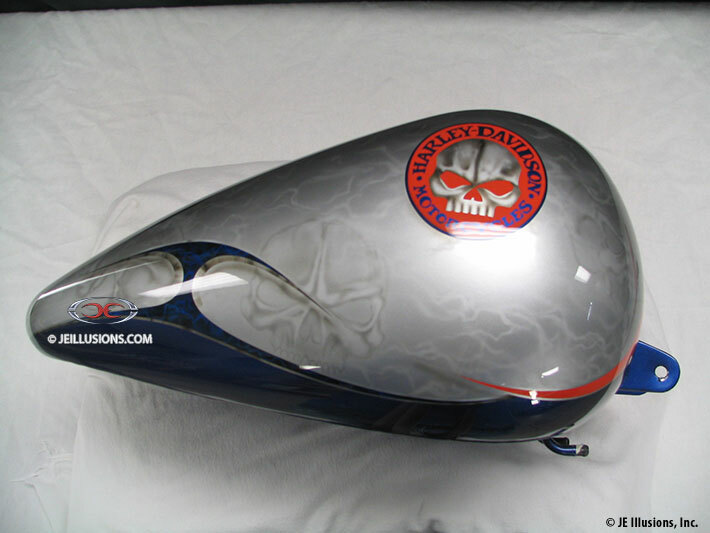 Trimmed with a Royal Blue bevel-edged blade design with hand airbrushed smoke effects inside. Also trimmed with a Ultra Orange blade design with White pin-striping. 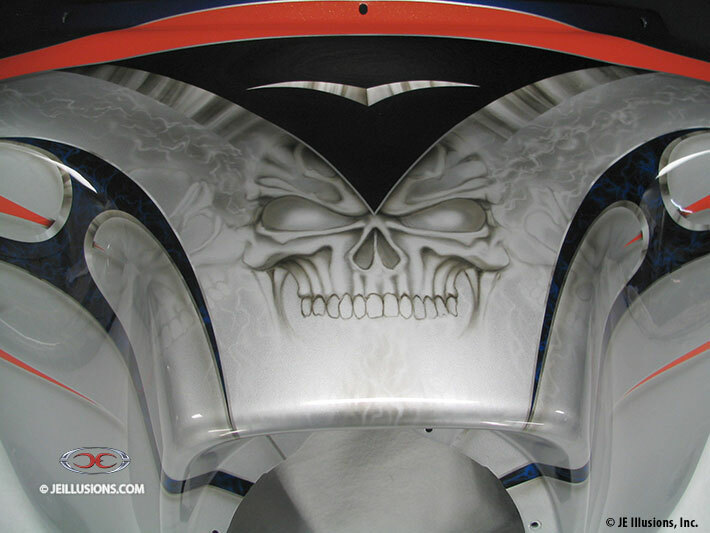 HD skull logo in orange and blue located on each side of the tank.